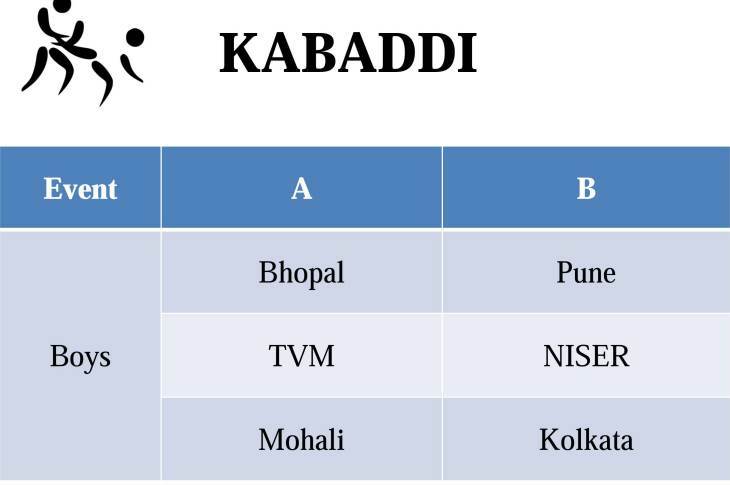 Badminton mix double grouping has been changed to knock out. 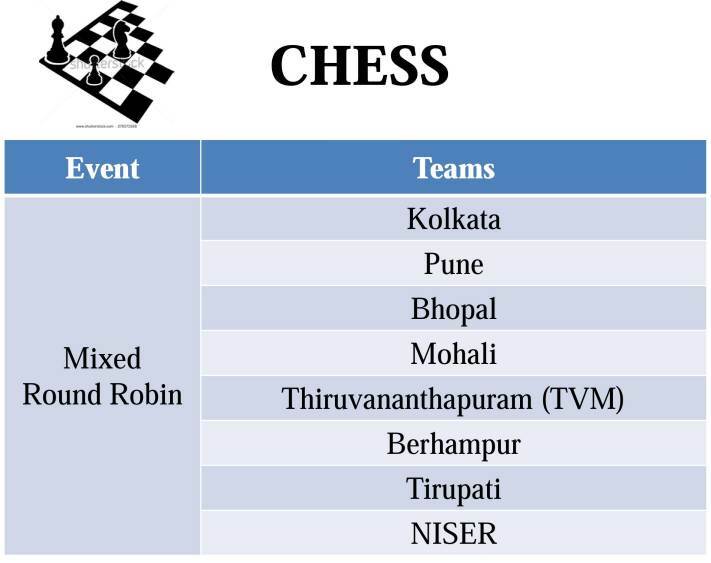 Chess schdeule can be flexible to mutual understanding of respective teams. 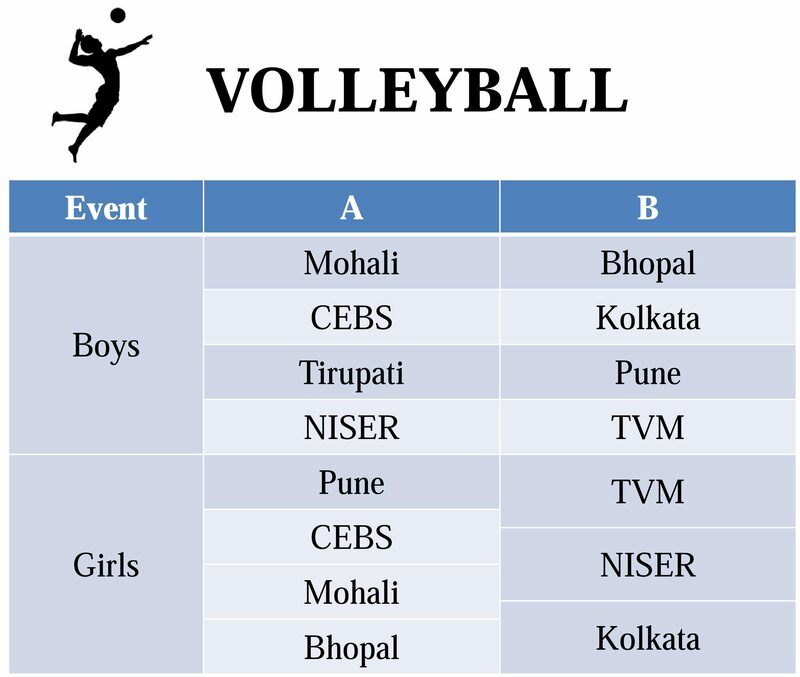 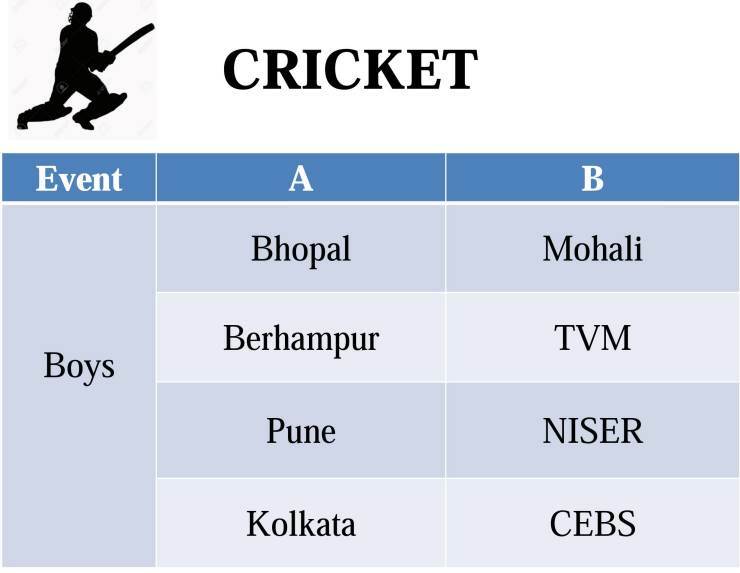 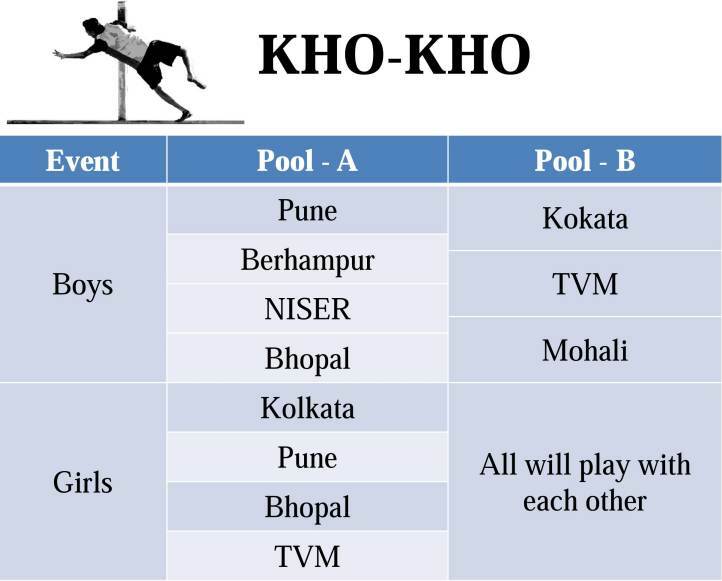 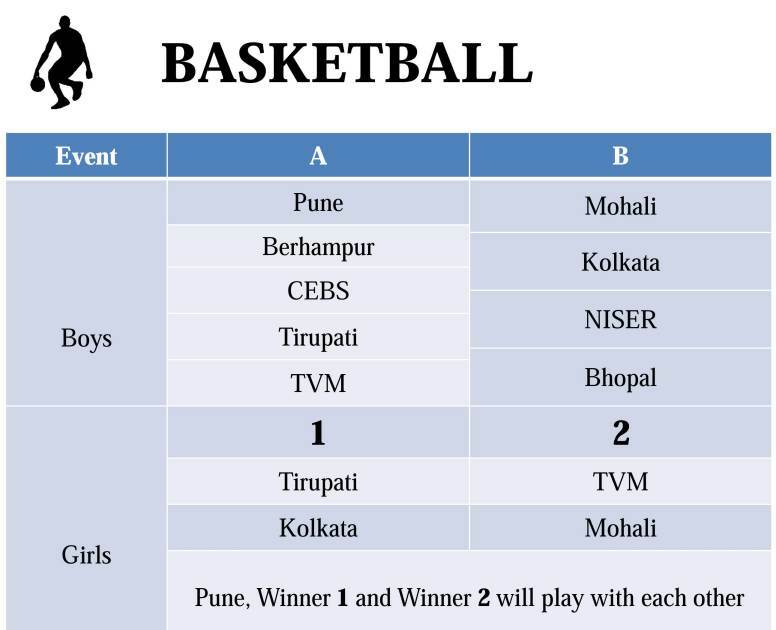 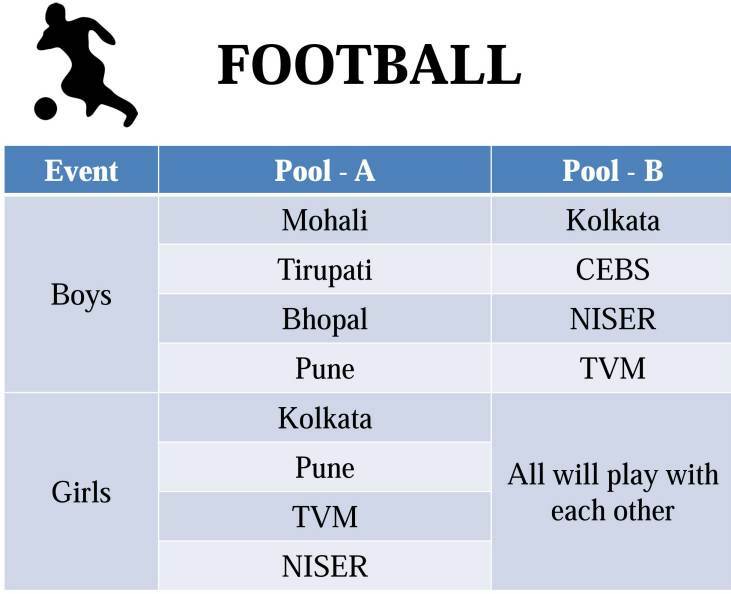 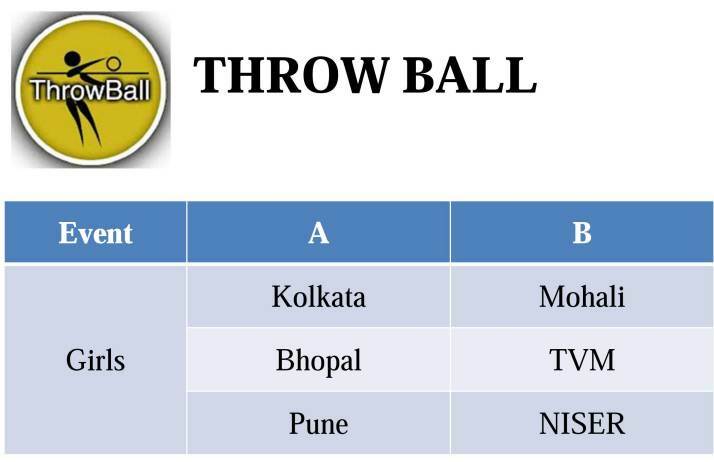 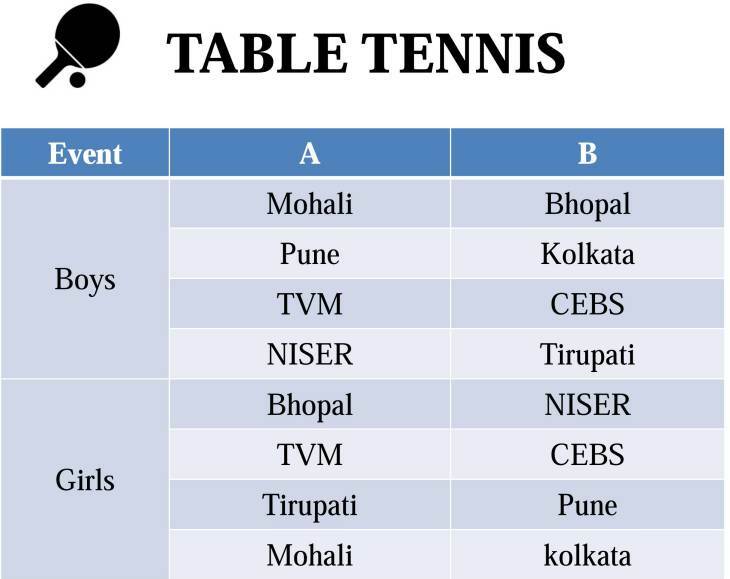 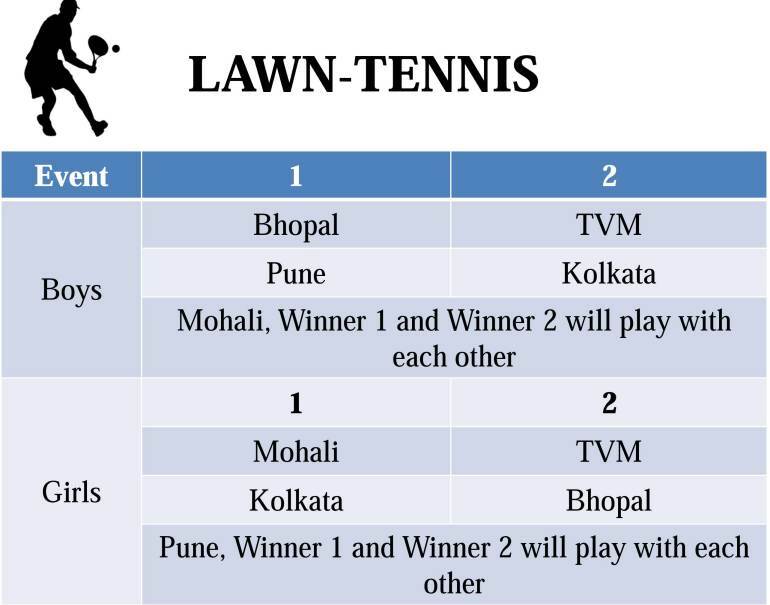 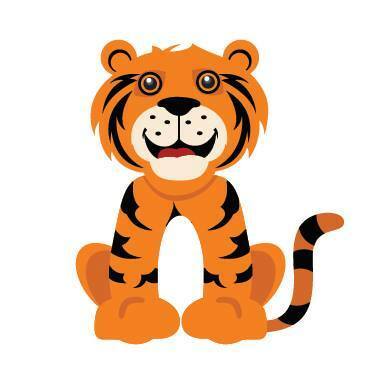 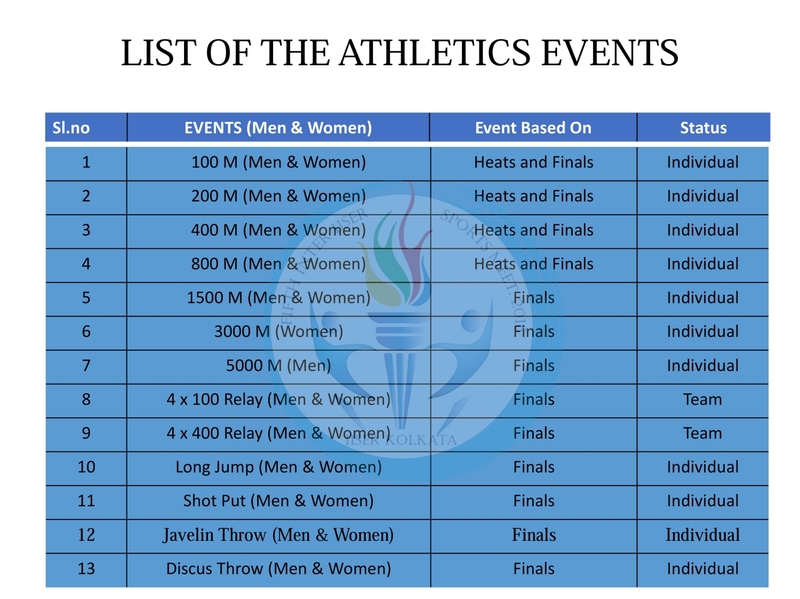 Some modifications in the Grouping of IISM-2016: Throwball : There was a small mistake in the grouping ,we did not consider NISER (The new entry from NISER was in the modified version of the list sent by them) So now PUNE goes in the group along with KOLKATA and BHOPAL as TVM was the runner up last year. 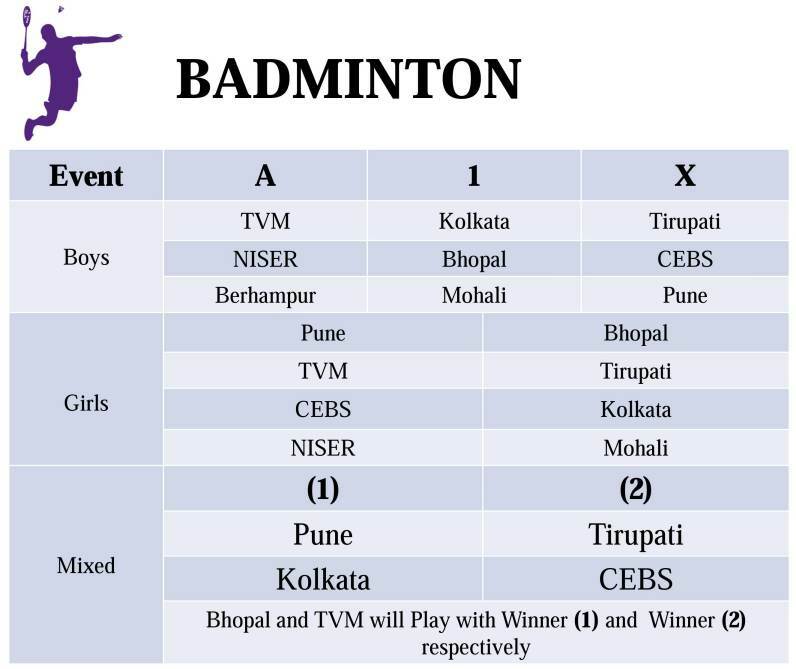 (TVM is in the other group) Badminton Mixed Doubles: There will be Knock-Out tournament .For grouping and other doubts look for the video below.